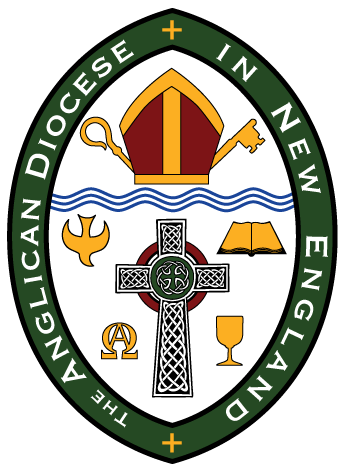 The Anglican Diocese of New England (ADNE) is about to elect our next bishop in November. 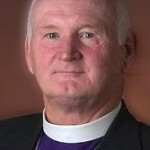 The candidates are the Rev. Andrew Williams and the Rev. Canon Dr. Thomas Herrick. We will have a chance to meet them during our ADNE Walk-About on October 11, 12, and 13 at Imago Dei Anglican Church in Bangor, Maine; All Saints Anglican Church in Attleboro, MA; and All Saints Cathedral, in Amesbury, MA, respectively. These meetings are for our mutual discernment. The Clergy and Delegates of the ADNE are required to attend at least one of the Walk-About sessions at either of the locations. They bear the weight of responsibility in making this discernment together and casting their votes. We do, however, welcome anyone in the diocese who would like to attend any of these meetings leading up to the conclusion of our discernment, which will be a vote at our 2018 ADNE Synod on November 16. We will begin our preparation for these two major moments through study, prayer, discussion and reflections over the next two months. People from across the Anglican Church in North America are praying for me, our two candidates, our clergy and delegates, and everyone in our diocese as we go through this process together. The materials on the ADNE Election News webpage are set up for your review and prayers. Make sure that you read the ADNE Profile and the Bishop’s position description in order to better understand the task of your discernment in light of our past history and our current needs as a diocese. In addition, links to each candidate’s page will take you to additional information submitted by them. 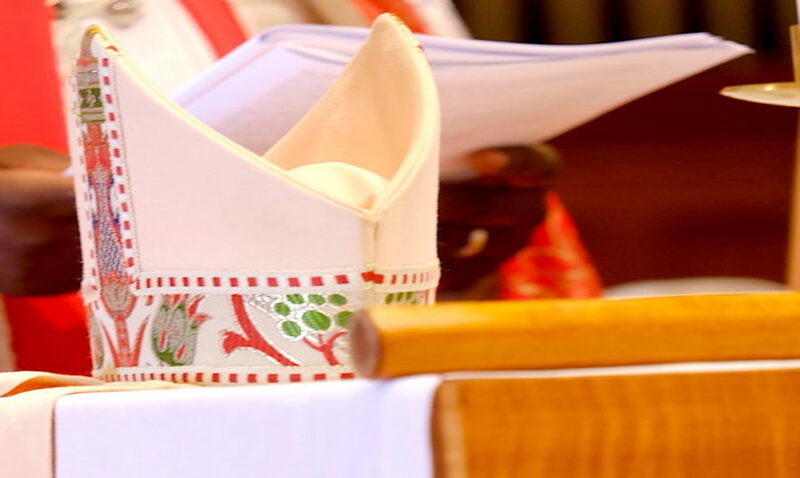 As you take in the answers from the Committee on Nominations for Bishop (CNB) Questionnaire, you will see how much work and prayer has already gone into this. Be sure to further your reading of the questions already asked, the background and credentials presented, and the wonderful GUIDE FOR PRAYERFUL DISCERNMENT, which was prepared for us all by the Rev Canon Dr. Susan Skillen and the Rev Dr. Susan Currie. It will leave you at times excited and at times overwhelmed. 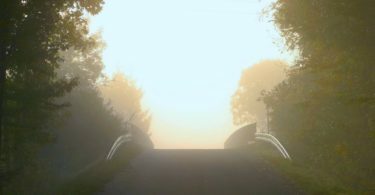 Return to the Guide often, as it will not only add to your prayer life now but deepen how you pray over the many decisions we will face going forward in the seasons of our life together. This process will not stop with the vote on November 16th. It will continue as we pray for both our new bishop and his family, as well as the candidate and family who were not chosen to serve at this time. 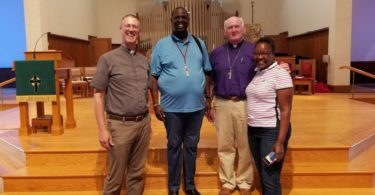 As Anglicans, those who will vote at Synod and those whom each delegation represents will participate in a unique piece of Christian church history. Unlike other churches with catholic order, all of us, lay men and women as well as clergy men and women, take part in electing the next bishop. All will listen for the guidance of the Lord Holy Spirit and decide whom God is calling to this ministry for the sake of New England. 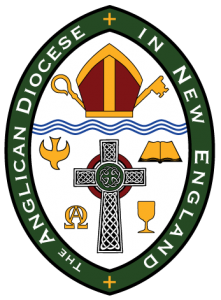 The ADNE’s discernment will then be confirmed by the ACNA College of Bishops in January before the new bishop is consecrated in March of 2019. Friends, as we move closer to this moment, let us join in prayer together, knowing that the Lord our God is with us and for us as he builds his church. O Great and Mighty God, who bestows all good gifts and who anoints leaders to lead your church and advance your Kingdom, graciously guide the minds and hearts of those who will choose a new bishop for this Diocese. Let them follow in the examples of faith set forth by our Savior and his Apostles to trust in your provision of the person whom you desire to fulfill this office. Lord, bless and guard the candidates that from among them we would receive a shepherd who by your power will protect, feed and tend the flock of Christ. Grant us grace to obediently follow him, receiving in unity your chosen leader. Go before him and us, that by your grace, help, and favor, we may continue the work you have prepared for us to do, that we your church may bring honor and glory to your holy Name, through Jesus Christ our Lord. Amen.